Nutrition in Childhood: It’s Important! While chicken nuggets and French fries is a fun and tasty meal every now and again, eating processed food is not benefiting your child’s health. Childhood obesity is at an all-time high. Parents must know how to promote a healthy lifestyle to their children, and this includes good nutritional habits. Research suggests that nutrition is linked with learning and memory, and children who eat more nutritious food do better in school. Many parents find it difficult to provide their children with nutrient-dense snacks and meals. The difficulty may be related to a busy schedule, limited budget or a child who is a picky eater. But parents, you are not alone in the struggle. • Use the “rainbow test” when making a meal. Is the plate full of colorful foods or foods that are white or brown? When food is naturally colored orange, yellow, green, red or purple, nature is telling us it is packed with essential nutrients. • Get sneaky with it! Here are some wonderful tricks on hiding healthy in your child’s favorite food. • Prep meals in advance to save time during a busy week. Meal preparation also helps to prevent eating out. • Get your child involved in making a meal! Even something as simple as stirring pasta or seasoning vegetables can give children a sense of responsibility for a meal. When children know they helped make a meal, they are more likely to eat it. What nutrients are essential for my child? 1. Protein helps build cells, produce energy and fight infection. * Calorie needs vary based on gender, activity level and overall needs. Please consult your pediatrician to verify your child’s recommended caloric intake. 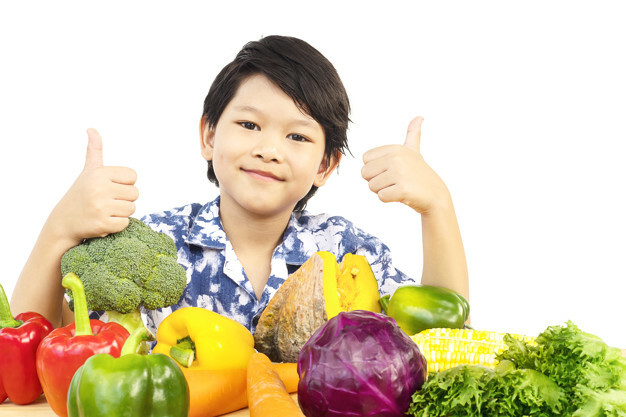 Healthy eating prepares your child for a healthy life! This entry was posted in Health & Wellness and tagged childhood, children, healthy eating, lifestyle, nutrition on April 9, 2019 by admin.